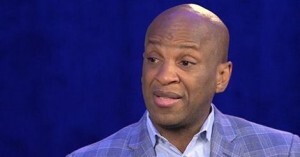 Pastor Donnie McClurkin, who actually didn’t vote for Trump, appealed to protesters, especially those drawn from the church, to focus on praying for the president instead of joining the protests. “Now is our time to pray for him this is the job of the church. Let the world protest but the job of the church now it to go into prayer and pray that, number one, he succeeds because if he fails, we have to deal with the consequences as a nation,” the pastor said before quoting 2 Chronicles 7:14. McClurkin’s statement rubbed many the wrong way, including fellow Christians who don’t support Trump. The pastor faced serious backlash, with many reminding him that even the civil rights movement, which was led by the godly Martin Luther King Jr., didn’t rely on prayer alone, but both prayer and constant agitation for positive change. The criticism directed at the pastor following his statement may have compelled him to think it through once again. And he realized it was uncalled for, prompting him to apologize. He did so through a video, in which he reflected on how protests have led to great achievements in the nation. In fact, McClurkin acknowledged that he himself has participated in protests, including joining Black Lives Matter in Washington D.C. This entry was posted in Gospel, Interviews, World News and tagged apology, Pastor Donnie McClurkin, protestors, Trump by Kris Patrick. Bookmark the permalink.